As we prepare for the third spring on our humble New England homestead, a mighty February rainstorm is turning our yard into a muddy mess. Maple sap is boiling on the wood stove; it will be syrup we can preserve in a few more hours. Our cupboards are starting to look a little bare (although not as bare as they did in our first winter here), and tomato seedlings are beginning to sprout from our lean-to greenhouse outside the kitchen. We’ll start direct sowing beets and carrots in a few short weeks, right around when our new baby chicks arrive in the mail. We’ve come a long way from when we first arrived here, as brand-new homesteaders, just a few short years ago. Homesteading is a truly rewarding lifestyle. We arrived at our property after decades of humdrum suburban existence, like so many other Americans. We are now living our lives to the fullest. We produce much of our own food and take pride in the repairs and improvements we have made to this property. Still, it’s been a lot of work, and we made some missteps that cost us time and money along the way. Are you considering becoming a homesteader yourself? If so, good for you! However, unless you were raised on a homestead, starting one on your own is going to present many new challenges. Here are sixteen lessons we learned as new homesteaders, many of them the hard way. Taking them to heart will help you hit the ground running, so you can enjoy the homesteading life. There is an old saying: “Most people don’t plan to fail; they fail to plan.” That is true in many things, including homesteading. Many homesteaders are passionate about the ideas of self-reliance and sustainable living, and they tend to look before they leap; they may buy a property without much thought to its utility as a homestead, or relocate to a great property, only to find it difficult to find employment. If you want to get the most out of the homesteading life, sit down and make a plan before you start. What are your goals as a homesteader? Do you want to raise your own food and physical security? Do you want to keep working in your current job, or maybe use your homestead to start a new business? How much money do you want to spend on a property? What kind of crops and livestock are you planning to raise? When we bought our property, we originally thought that we would start a business – we dreamed of running a farm stand, or establishing a community supported agriculture (CSA) program. However, once we started improving this property, we realized we wanted to focus more on self-reliance, and to spend more quality time together as a family. So, our farm business is on hold, but we enjoy family meals every day that come straight from the gardens and pastures we work together. Having a clear plan will guide you as you look for areas to live, help you determine the type of property you ultimately want to settle on, and help you set a budget. Finally, a good plan will help you secure buy-in from your family before you set out on a life-changing experience as a homesteader. If you’re considering the homesteading life, NOW is the time to start researching. If you have chosen an area to live, you should start reading everything you can about it. What crops grow best there? Which won’t do so well? Are there any laws or regulations that could hinder your homesteading plans? Are there good farmers markets nearby, or stores where you can buy what you need for your property? The more you know now about your future homestead, the better. Reading about homesteading itself is a good idea, too. 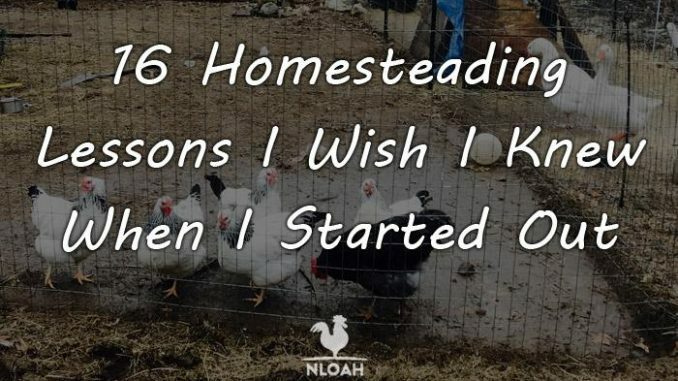 Even if you don’t have time to practice skills or lean new ones, reading about homesteading can definitely help you prepare for you new life. It will also motivate you too, so, especially if you have awhile before you get a homestead of your own. Read new and back issues of magazines like Mother Earth News. Bookmark Internet sites that routinely post useful information about homesteading (like this one! ); you should also subscribe to YouTube channels that have good homesteading information as well. Research as much as you can, whenever you get the chance; the more you know, the more you’ll get out of the homesteading lifestyle. If you want to be leave the suburbs and start a homestead, consider practicing first to see what it’s like. Try working on an actual homestead for a few days alongside a seasoned homesteader, so you get a feel for the lifestyle. Doing so can help you determine exactly what to expect when you have a homestead of your own; it can also help you identify what skills you need to work on prior to setting out as a homesteader yourself. My wife and I volunteered several weekends at a small farm in the Midwest several years ago, after seeing a flyer on a bulletin board. 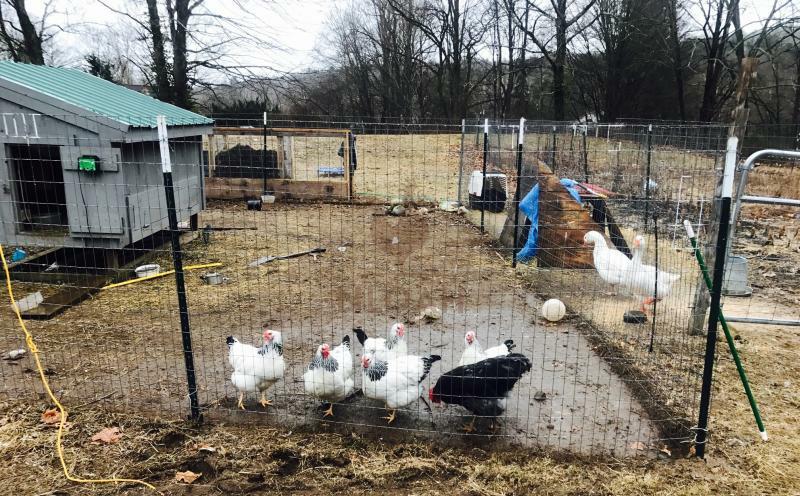 I spent many hours cleaning out their poultry barns, and learned everything I needed to know about raising chickens and turkeys from those weekend excursions. Looking back now, as our poultry flock continues to expand, it was definitely time well spent. If you have a relative or friend who is a homesteader, spend a few weekends on their property, and practice everything that you see them doing. Once you have built up your confidence, you can even let them take a break for a weekend, and run their homestead all by yourself. And if you don’t know anyone who homesteads, no worries; there are entrepreneurs who can let you experience the homesteading lifestyle for a few days or so, much like a standard bed and breakfast. Or find a farm, like we did! How much money are you going to need when you become a homesteader? That should be the first question you ask yourself, after you make a homesteading plan. You are going to need money to buy your property, as well as additional funds to make improvements there. You may need money to purchase tractors or lawnmowers, livestock, fruit trees and seeds as well. You will also need to have a plan to pay your bills and save for the future, too. Make sure your budget is more realistic, and less optimistic. 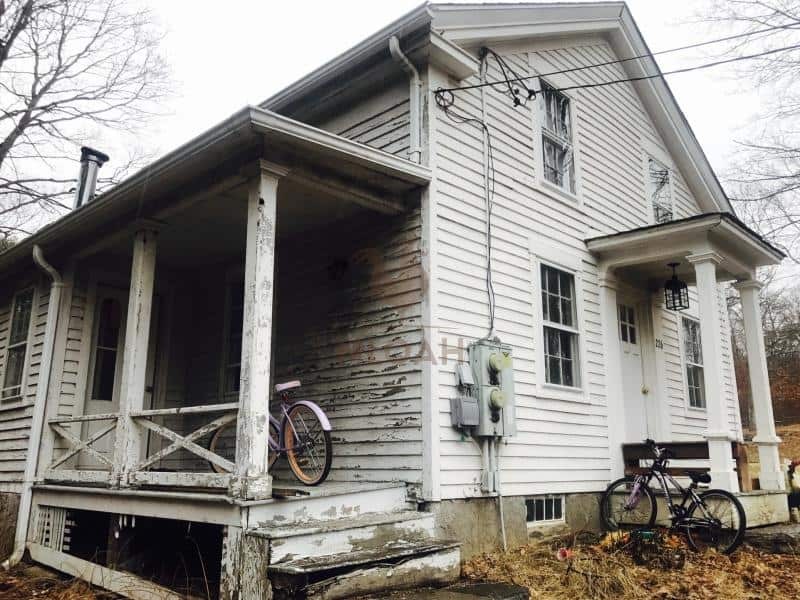 Our 200-year-old farmhouse is a dream come true; however, the repairs it required went way over our optimistic budget, and meant plans for additional pasture fencing and a walk-in greenhouse would have to wait. Still, two years in, having a budget and living by it has enabled us to enjoy the homesteading lifestyle. A budget will help you determine how much money you can spend on your initial purchases; it will also help you figure out what’s available to spend each month thereafter as well. Finally, if you’re starting a business, your budget will also help you figure out how much money you’ll need to make to cover all your expenses. And if you have all of your money issues figured out, you’ll definitely have more peace of mind when you set out as a homesteader. Some people who enter the homesteading lifestyle have already been farmers, carpenters, and engineers, so starting a new homestead isn’t exactly a major shift for them. However, most beginning homesteaders are trading one life for another, and are going to need to build whole new skill sets. Since the first few years are going to be learning-intensive, most homesteaders should set modest goals as they get started. Don’t set goals that are so ambitious that you outrun your abilities to accomplish them; you’ll wind up burning yourself and your family out, and probably will end up in failure anyway. Instead, your focus early on as a homesteader should be on adaptation; learn how to be a more effective homesteader and set your goals around that. Doing so will increase your productivity over the long run, keep you motivated, and make you a better homesteader. Make sure you celebrate those modest goals that you accomplish, too. Homesteading is tough work, even if you love it. There will undoubtedly be setbacks, especially early on. So mark your victories whenever you get a chance. Make sure you take time to celebrate the good things that you accomplish, even if they’re relatively modest; when you are first starting out, relatively modest accomplishments may be all you have, anyway! When you collect eggs from the chickens you raised for the very first time, take pictures, and make some delicious omelets. If your neighbors help you build and paint your new barn, throw a party in it before all of your livestock move in. And hey, if the roof finally stops leaking during heavy rains thanks to your repairs, celebrate that, too. Taking time to savor the little victories will help you keep sight of why you became a homesteader in the first place. It will also help you maintain buy-in for the homesteading lifestyle with your spouse and family. Unless you are independently wealthy to start with, money will always be a challenge for you as a homesteader. One of the ways to have more peace of mind as you’re starting a homestead is to have a part time job, or “side hustle.” Income from a part time job can help reduce the financial stress of completely changing your lifestyle; it can also help you earn a little extra cash to make repairs and improvements around the homestead as well. My wife is a registered nurse who had taken a hiatus from work when we started our family. When we bought our homestead, she went back to work part time, while I focused on making repairs and getting our property in good order. Her part time job kept us solvent, and paid for many of the improvements we’ve since made to our land. These days, there are many options for people looking for part time work. Driving for a service like Uber or Lyft is a great side hustle; you can make decent money, and you can work as many or few hours as you would like. If you have strong skills in areas like writing, coding, or graphic design, you can also consider signing up with an online freelancing service like Upwork or Toptal. These sites will allow you to work for clients right from your home, which will save you money you’d otherwise spend commuting to work. You may not even have to work at all for your side hustle. If you have an extra room to spare in your homestead, you could consider renting it out from time to time on sites like Airbnb. Leasing some of your land, or one of your outbuildings, is yet another option as well. However you decide to do it, a little extra money each month from a side hustle can only help you as you set out as a homesteader. Don’t have a cow. No seriously, if you didn’t plan to raise cattle, don’t suddenly buy a calf at the county fair on a whim. You made a plan before you even started homesteading, remember? Don’t get distracted and let spur of the moment decisions throw your homesteading plan, budget, and your homestead itself into chaos. While you want to be flexible and make adjustments to your homesteading plan when necessary, you will likely fail as a homesteader if you allow whims to drive your homesteading decision making process. As discussed earlier, we modified our homesteading plan after realizing we wanted to spend more time together as a family; we also delayed the addition of some planned homestead features, like a greenhouse, based on budgeting issues. Still, we have largely stuck to the original plan we made when we bought this property. So make changes if they are necessary, and only after you have taken the time to deliberately assess what you are doing. Don’t let that calf with the big cute eyes throw a years’ worth of planning and budgeting down the drain. Staying focused will prevent you from wasting time and effort, and help make your homestead more effective. PHOTO: You’ll need many new skills to fix up an old homestead farmstead like this one! This article has come back to the importance of learning new skills as a homesteader again and again. Regardless of the talents you bring to your new lifestyle, you will have to learn new things to be more effective. Some skills, like fixing a toilet or installing a fence post, will be necessary just to keep your property in shape; other skills, like installing solar panels or making cheese, will enhance your self-reliance, and give you new opportunities to make items for sale or trade. Every spring since we bought our homestead, we have taken classes at our continuing center to improve our homesteading skills. The first year I was here, I took a carpentry class; later, I used the skills I learned to repair our front porch, and build some cold frames to extend our growing season. This year, I am signed up to take a beekeeping class, and hope to add a few hives, so we can produce our own honey and beeswax. As a homesteader, you should a personal goal for yourself: learn a new skill every single month. When you’re first starting out, just aim for the basics. You should learn straightforward gardening techniques, how to preserve foods, and how to raise chickens. You should also learn some very basic carpentry techniques, so you can make minor repairs and improvements to your property. Getting in the habit of learning a new skill every single month will make you a more productive and self-reliant homesteader. While being self-reliant is a key part of the homesteading ethos, you’ll want and need other people along the way. Try to find people who are homesteaders like you, especially if they have experiences and skills that you can draw upon. Having people to trade livestock, garden, and canned goods with will be useful to you as well. And you’ll want good friends and neighbors to help keep an eye out for you, and with whom you can share your homesteading experiences, too. So start building your network right from the start. Get to know your neighbors and see how they do things on their homesteads. Make acquaintances in those community classes you take and keep in touch after they’re over. Join online bulletin boards and forums that cover common homesteading topics. Become friends with the family that sets up their produce stand next to yours each week at the farmer’s market. Over time, you’ll have a network that can help increase your expertise, expand your ability to trade items, provide support, and share the good times with you. And that network will make you a more productive homesteader. Try to get the most out of your garden; if you can figure out something that you can grow, regardless of the month, try to do it. This will ensure that you have plenty of fruits apnd vegetables to enjoy now and preserve for later, or sell at your local farmers market. Consult a gardening guide or calendar, and determine all of the crops you can grow, and when you need to plant and harvest them. Figure out what you want to grow, and make a master plan that can guide your gardening efforts for the rest of the year. You plan should include ways to extend your garden season a bit longer, so you can increase your crop yields; covering your rows, using cold frames, and building greenhouses are great ways to keep your garden productive even after the weather turns cold. PHOTO: A flock of hens (and maybe a goose or two!) will help make your homestead more productive. One of the best ways to get your homestead producing food right away is to start a flock of chickens. Chickens are easy to acquire; you can often get them for free if you check on Craigslist. Raising a small flock of hens is relatively easy, too. If you have a rooster, and either an incubator or a good broody hen, you’ll also be able to replenish your flock at will, too. You’ll have to do some basic research, followed by some trial and error once you’ve got live chickens scratching around in your backyard. you’ll have to learn about building and maintaining basic structures (a coop and a run), feeding, caring, and how to butcher your birds when the time comes. All of these skills were serve you well later on, when you add additional livestock to your homestead. PHOTO: A good barn will help you be a more productive homesteader. 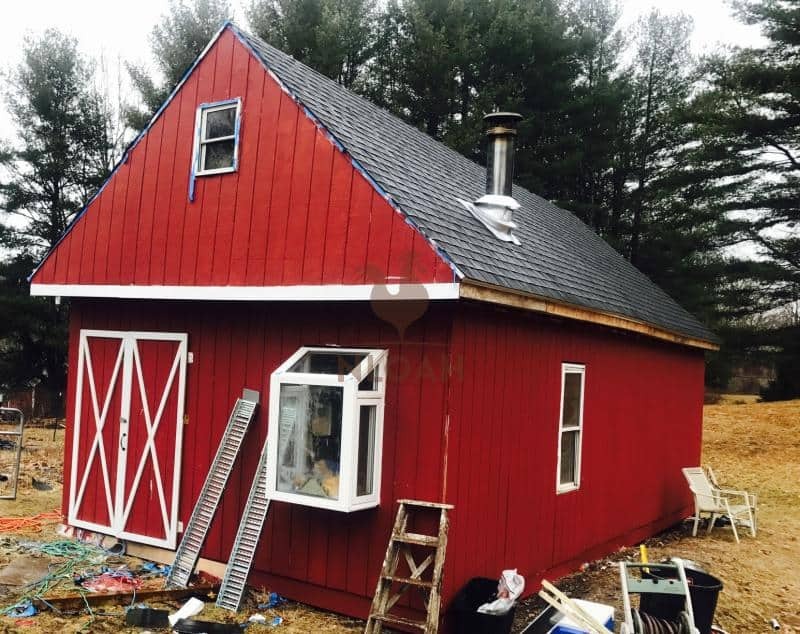 This barn has a wood stove, so the homesteader can stay warm while working inside it during those long, cold New England winters! If your homestead didn’t come with a barn, you should build one the first chance you get. A barn will help make your homestead productive the moment you hammer the last nail in. You’ll be able to store equipment out of the weather, keeping it in good shape and extending its life. You’ll be able to get yourself out of the weather and do work that you’d otherwise have to wait for a warm, sunny day to accomplish. You’ll also be able to take better care of your garden and livestock with everything organized under a single roof. The original barn on our property had definitely seen better days; the roof had collapsed, and our insurance company labelled it a hazard. We tore it down the first summer we were here, salvaged some of the old wood, and built a new barn the following spring. I don’t know how we ever lived without the new barn! We store our hay and feeds there, use it to preserve and prepare most of our food (thanks to an old woodstove we bought on Craigslist for $50), milk our goats and raise chicks in it, build things there, and even host birthday parties and other get-togethers in our new red barn. It is the heart and soul of our homestead, and the hub of all our activity. If you don’t have the money or time to build a barn on your homestead right now, no worries; after all, a barn is more of a state of mind than a physical structure, anyway! You can make do with a few worthwhile substitutes in any case. If you have a small shed or other outbuilding, clean it up and make the best use of it that you can; you can also park your cars in the driveway, and turn your garage into a makeshift barn; your basement can also serve as a barn in a pinch, too. Having a place where you can get all of your homesteading tasks done, rain or shine, will definitely help you make the most of your homestead. If you’re a homesteader, you’re always thinking about your budget, and how to save or make money. Part of the ethos of most homesteaders is to waste nothing, and try to use everything more than once. You should pride yourself on how seldom you have to go to the dump with a load of garbage, and how you are able to put other people’s trash to good use on your homestead. 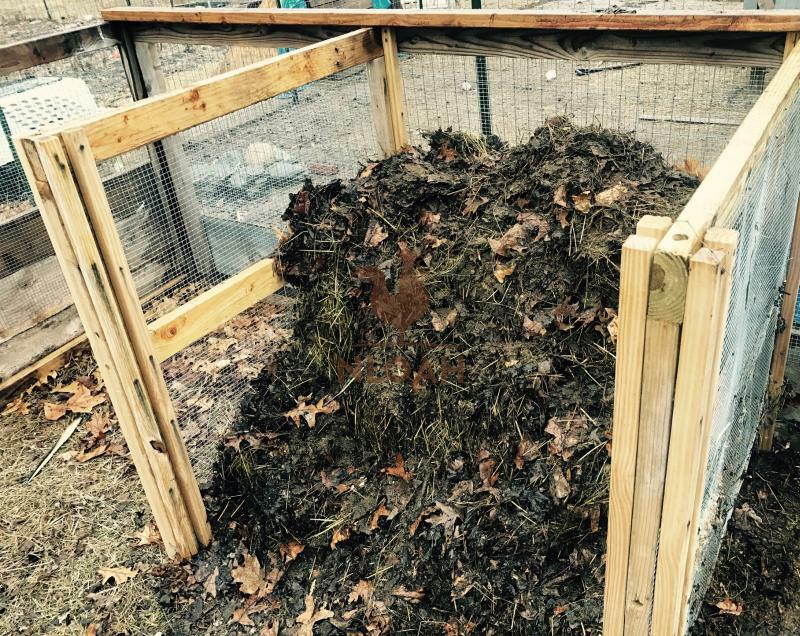 Turn your own yard and kitchen scraps into black gold; start a compost pile, and items you’d normally toss in the trash can be used to enrich your garden soil. Choose paper bags, not plastic, any time you go to the supermarket; you can compost the paper bags, or use them to help start fires in your woodstoves. Save old wine and beer bottles, too; after washing them out, you can use them when you make your own home-made wine, cider, or root beer. You should also try to find free things wherever you can, especially items that people would otherwise just throw away. Check in with your local hardware or big box type store; they may have wood pallets you can haul away for free, and use for firewood or construction products. Re-programming yourself to turn your trash into something useful will definitely save you a little money, and make your homestead more cost effective. Way back when you made a homesteading plan, right? Well, that wasn’t a one-time thing; you need to check back in on your plan from time to time to see how you are doing. Are you meeting your goals? Did you lose focus, and wander far afield from what you originally planned to do as a homesteader? Do you need to put more time and effort in an area where you are falling behind on your plan? Assessing your progress from time to time will help you answer these questions. All of our homesteading goals are written on a dry erase board that hangs in our big red barn. Any time we have a big family meeting, or consider revising those goals, we gather together in front of the board, and assess how things are going. It helps us stay on track, and lets us keep sight of why we became homesteaders in the first place. Plan to sit down at least once every quarter and look at your original homesteading plan; once a month might even be better, if you can afford the time. Reviewing your goals, and assessing your progress, will keep you focused as a homesteader; it may help you avoid unnecessary diversions, and help you take advantage of fleeting opportunities as well. Try to get your family involved in these assessments, so that you get their points of view on things. These routine check-ins will help you stay on track, so you get the most out of your homestead. 16. Make Sure You Have Fun! If you’re not having fun as a homesteader, you are definitely doing it wrong. You chose this lifestyle and left another one behind, right? You should expect hard work and long hours building and maintaining your homestead; there will likely be many setbacks along the way, too. But if you are not enjoying yourself, you won’t be productive as a homesteader; you probably won’t be long for the homesteading lifestyle, either. Ensure you make time every day, week, and month to reflect upon, and celebrate living the homesteading lifestyle. Beyond the little victories discussed earlier, remember to look at the life you are living now, and the one that you left behind; take advantage of the things that you can do as a homesteader that you could never do before. Shoot targets in your back yard; catch bluegills in your farm pond and grill ‘em up; smother some waffles with that maple syrup you just spent the last few days boiling down from sap. You chose to live as a homesteader, so make sure your family and you enjoy what you are doing. You can have a great life as a homesteader and make the most out of this wonderful lifestyle. We are starting our third year, and look back now with no regrets whatsoever. But we’ve made some mistakes along the way that slowed us down a bit. Hopefully the lessons we shared here can help you avoid them. So take this advice for what it’s worth as you set out on your homesteading life. 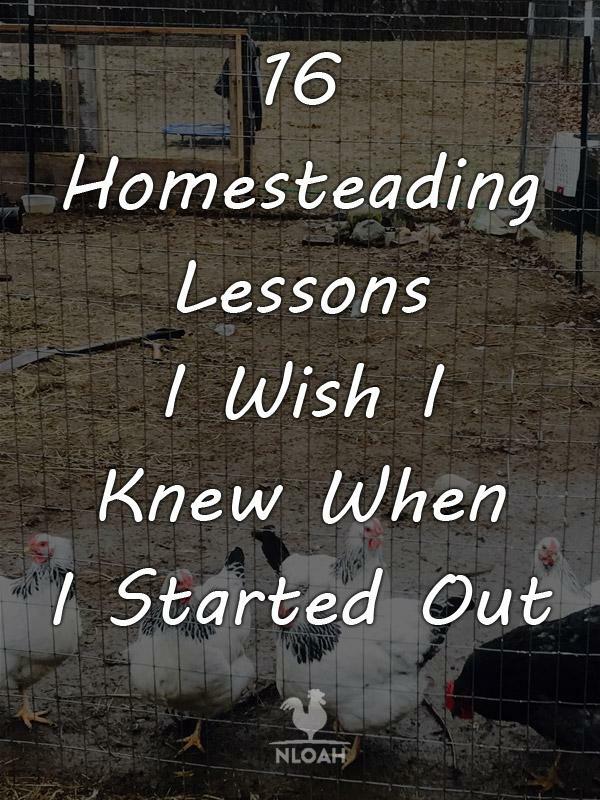 And once you feel a little confident as a homesteader, make sure you pass on your own lessons learned to homesteading newcomers as well! We are glad you enjoyed the report and found the information to be useful in your own homesteading plans. We are all in this together and hopefully will keep learning and sharing with each for many years to come! Thanks for all your hard work in putting together info for the rest of us to learn from. Your words are gobbled up by this future homesteader!! !